Santiago de Chile is home to over 7 mio people and with over 4 mio vehicles has the usual issues of a large metropolis: traffic congestion and pollution. That is no wonder because in this emerging market, private vehicle ownership rate is increasing at nearly 7% annually. I recently visited Santiago and the air was hazy at best and nicotine yellow at worst. Yet Santiago also has one of the most extensive and functional metro and bus networks in South America. The metro network is one of the most modern in Latin America, being the second largest following the Mexico City Metro, and it is 7th in frequency worldwide. Santiago is also home to one of the most successful bike sharing systems in the Americas now that cycling is shedding its ‘loser’ image in the Chilean capital. Not to forget, the local carsharing operator called AWTO who launched their services in 2016. 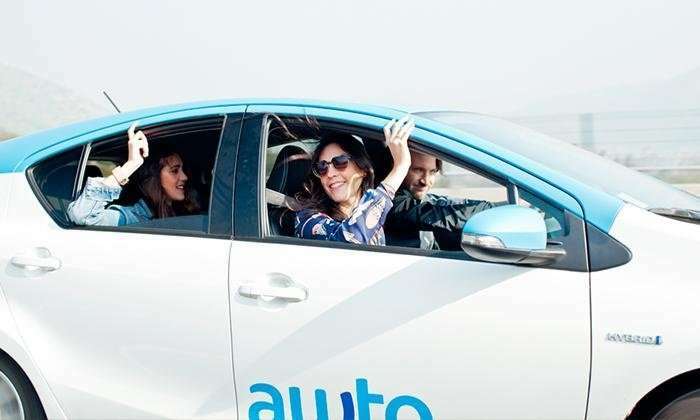 Carsharing is in its infancy but the team at AWTO is up-to-speed on the technological advancements and has added a few slick features to their app. The Santiago Metro is very efficient, extremely clean but also extremely crowded. During rush hour it’s about as comfortable as a can of sardines. Bikesharing is extremely popular and I was seriously impressed by Bikesantiago’s operations: from call center to social media handling, this team just is on top of it. During my visit I not only tried out the public transit systems, I also had a chance to meet Bikesantiago and AWTO for a short interview. Francisco Loehnert, General Manager of AWTO was the one who answered a few of my questions. 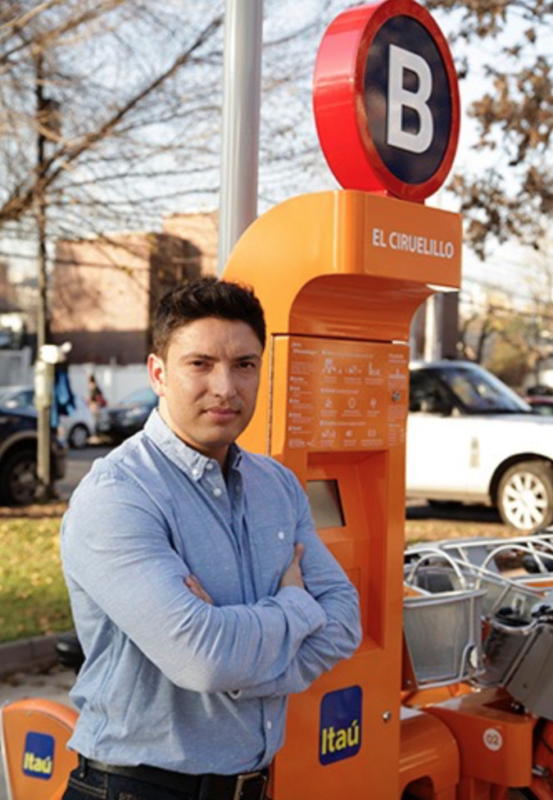 SP: Who is behind AWTO, Santiago’s first carshare? FL: Awto is backed by the Kaufmann Group who is specialised in Auto parts and service. You can find more information here: http://www.kaufmann.cl/. While Kaufmann Group does not maintain the cars, there are a lot of synergies between what we do and what they do. Kaufman Group also supports us financially as Santiago is moving into the next generation of shared mobility. SP: When and how did you launch? FL: We launched in 2016 with 25 cars and grew to 70 within only 12 months. We currently serve 14 communities within Santiago and will bring Awto to another 5. SP: What type of model of carsharing are you running? FL: We are running a station-based carsharing model because the city currently doesn’t support free-floating. It will be very difficult that we move to free-floating. Santiago consists of 20 different municipalities/boroughs and they each have to agree to a change in parking regulation. Having an agreement in only a few of them doesn’t make sense to run a large-scale free-floating system. SP: Your team is quite tech savvy and you have built the app yourself. What are some of the great features you implemented? FL: We have a two-step identification process to start a trip that is purely run from the app. When you start your trip, the vehicle unlocks but we keep the immobilizer engaged until you enter your personal 4 digit pin. We also included a simple damage overview screen where you can report damage issues (interior and exterior) prior to your trip. Or simply skip that step if there is nothing to report. You can find our how to video here. SP: What is next for Awto? Apart from growing Awto within Santiago, we are also expanding to other cities, such as Vina del Mar and planning to increase our reach that way. I also met with Alejandro and Mauricio Powell, the founders of Bikesantiago and ask them similar questions. SP: Who is behind Bikesantiago? AP: Bikesantiago was founded by Alejandro and Mauricio Powell in 2013. The bank of Itaú is the official partner. We started in October 2013 in Vitacura, a high-class neighborhood, but where the Mayor, Raul Torrealba, had the vision to dare and be the pioneer. We thought it is a very good opportunity to start in Vitacura, because the residents have a moderate but growing interest in sustainability and also a higher acceptance of technology and infrastructure. In helped us to show that this system is highly sophisticated which allowed us to win over other communities such as Santiago, Providencia, Ñuñoa, Las Condes. Thanks to this, it was possible to carry out a single tender and launch in 14 communities. As a side note, there is no cost to any of these communities, Bikesantiago is self-sustainable. SP: Bikesantiago has been extremely successful. Can you share any numbers? AP: Bikesantiago currently has 35,000 members and 2,000 bikes. Each month about 300,000 rides are taken. Since its inception, there have been more than 5 mio bike trips. SP: Bikesantiago supports surveys of the Ministry of Environment. Are you able to share any facts from these surveys? AP: Bikesantiago was part of the Green Transport Survey, a study commissioned by the municipality of Santiago and the Ministry of the Environment with an independent consultant specialized in the implementation of the United Nations’ Appropriate National Mitigation Actions (Nama). This study reviewed Bikesantiago and established, among other things, that 40% of users left public transport to be more active cycling and that 15% of our members shed their car. You can find more information about the Green Transport Survey results here. Want to learn more about movmi, contact us here.